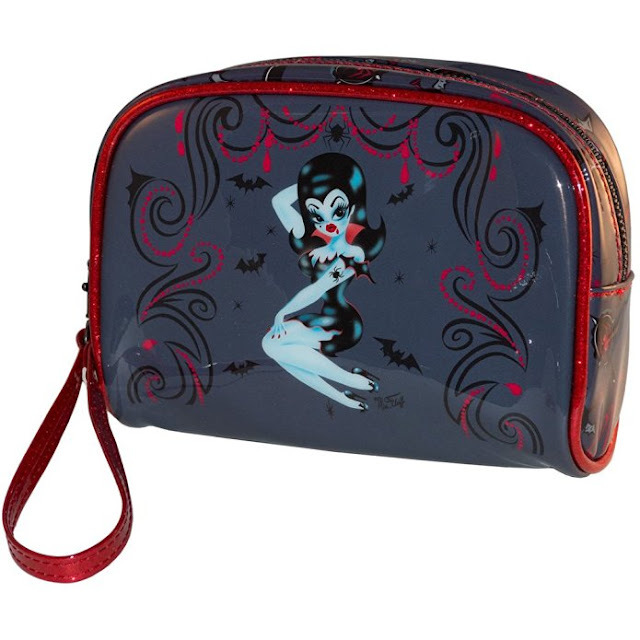 These cute and spooky cosmetic bags by Kreepsville 666 are to die for! Protect all your dark and dreary makeup in one of these adorable bags. The witch might be super cute and whimsical, but she's surrounded by a really eerie environment! 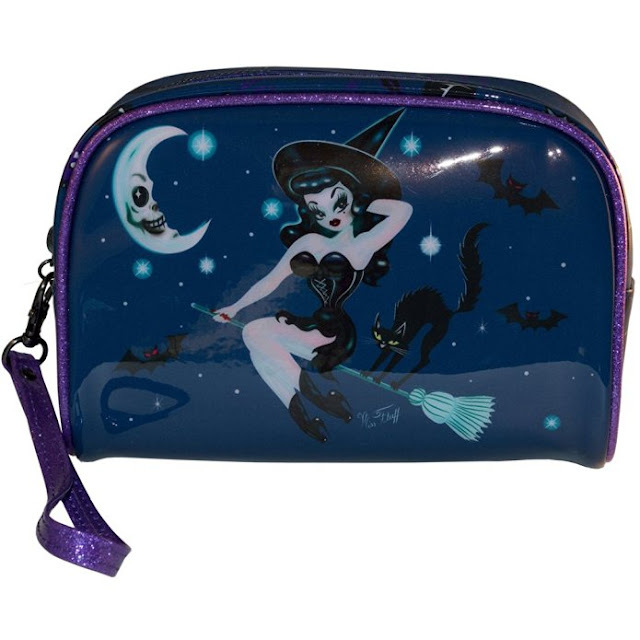 Careful of the moon on this Hex Kitten make up bag. He looks awfully sinister and evil. The bats flying all around her look incredibly demonic! Frankenstein's Bride looks stunning on this Monsters Ruin make up bag. I love the eyeballs flying toward her as if they are electrified by her presence. A bonus for me is that she is hanging out in a martini glass. That would be my dream come true! This elegant vampire has a bit of a vintage look about her. On the Glampire make up bag she is surrounded by little bats and gorgeous spiral designs. They remind me of dark chandeliers or curtains. Don't you love the little blood dripping from her lips? I think these are really fun and cute. They are great for macabre folks and horror lovers alike. It was hard for me to decide which of these spooky cosmetic bags by Kreepsville 666 is my favorite, but I think I decided. The Monsters Ruin make up bag is the winner in my case! This is just the little monster I think represents me the best. What about you? Comment below!